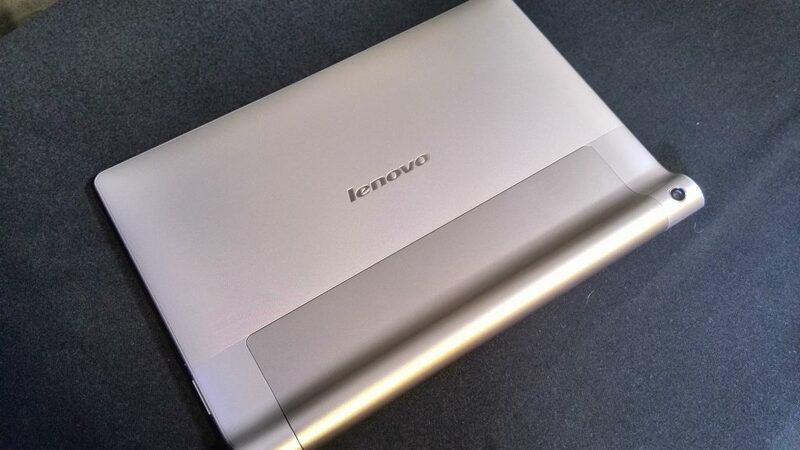 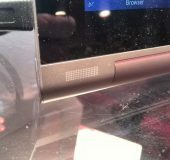 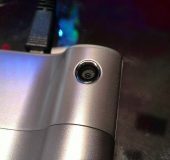 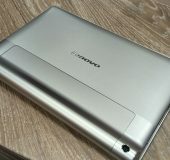 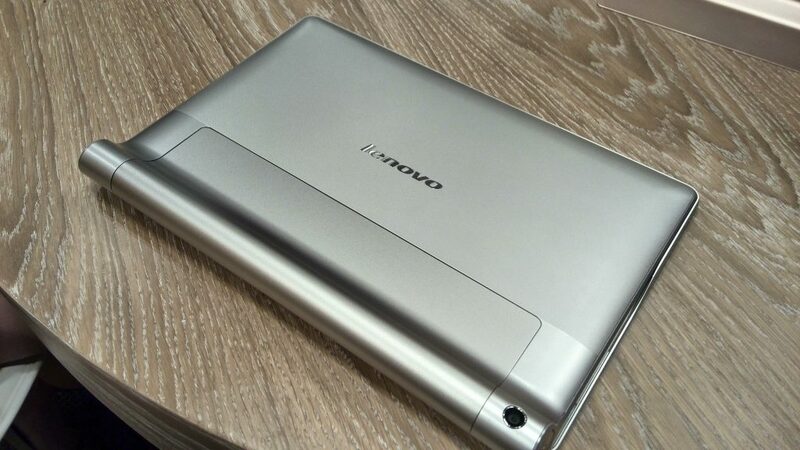 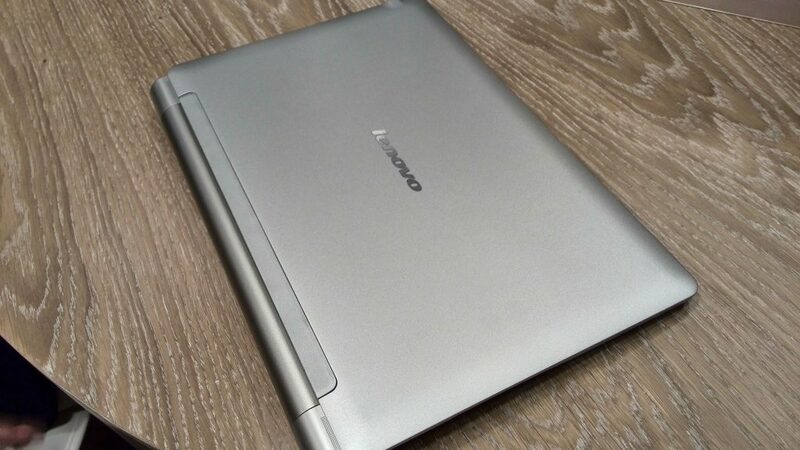 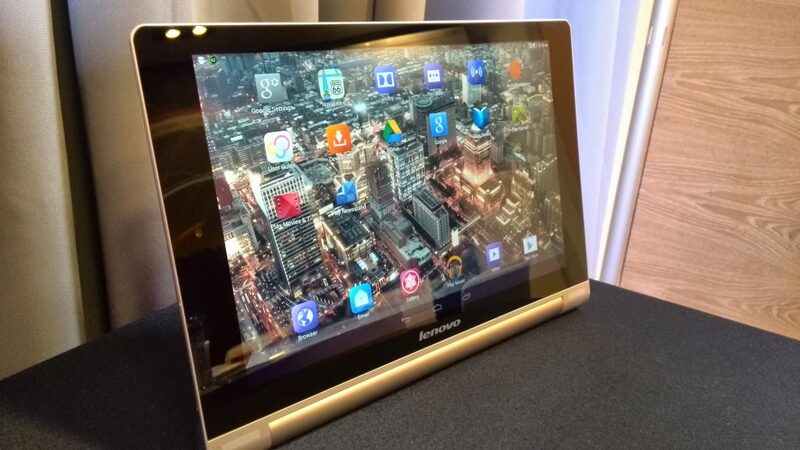 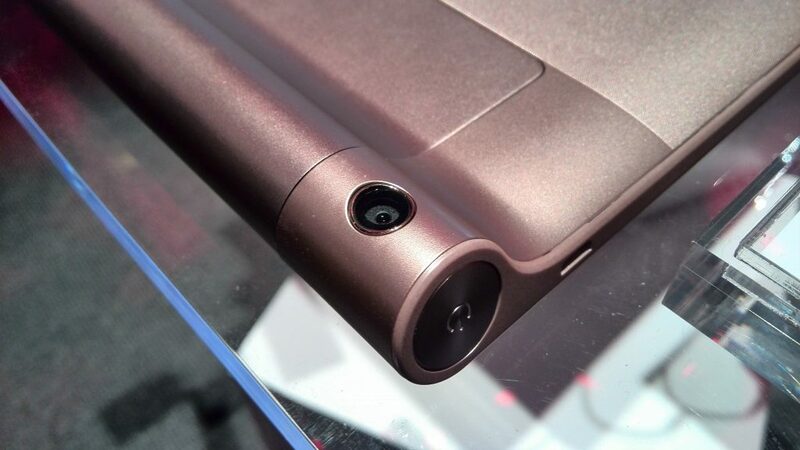 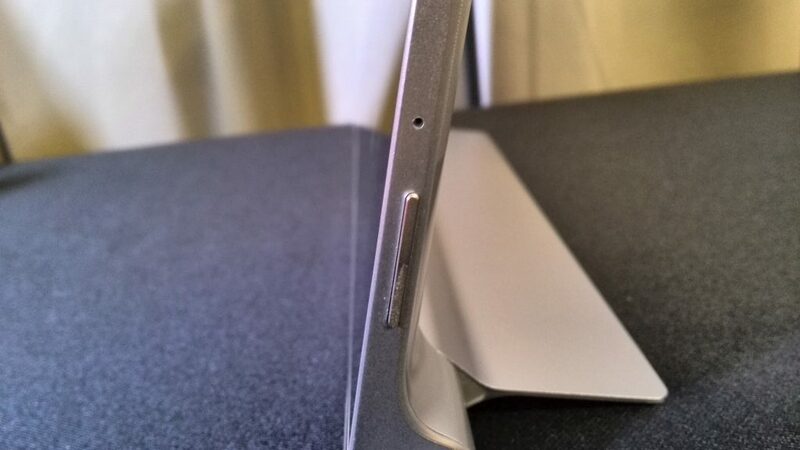 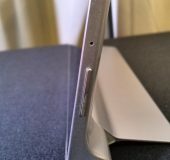 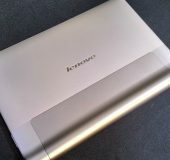 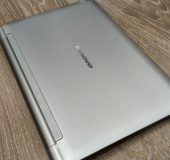 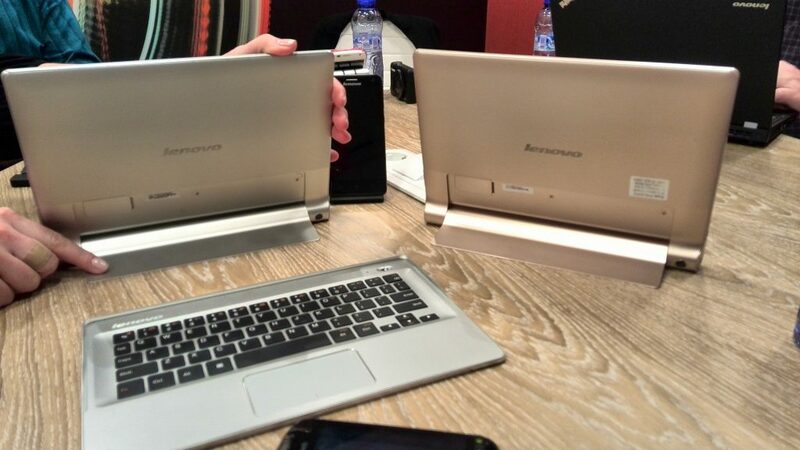 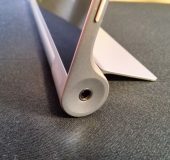 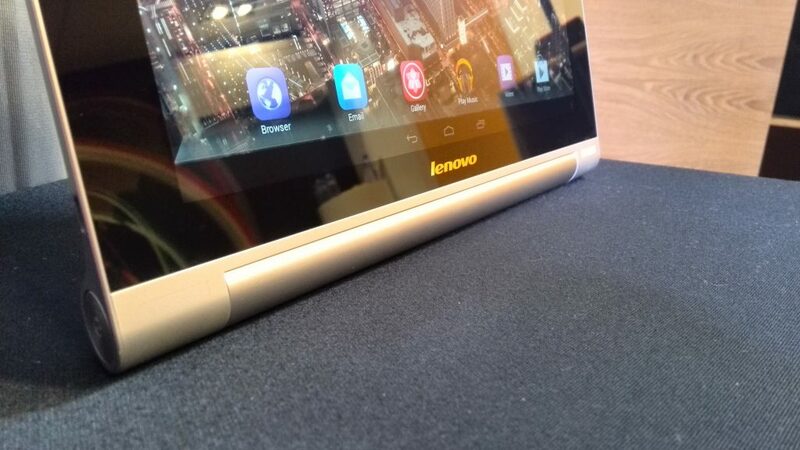 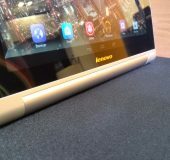 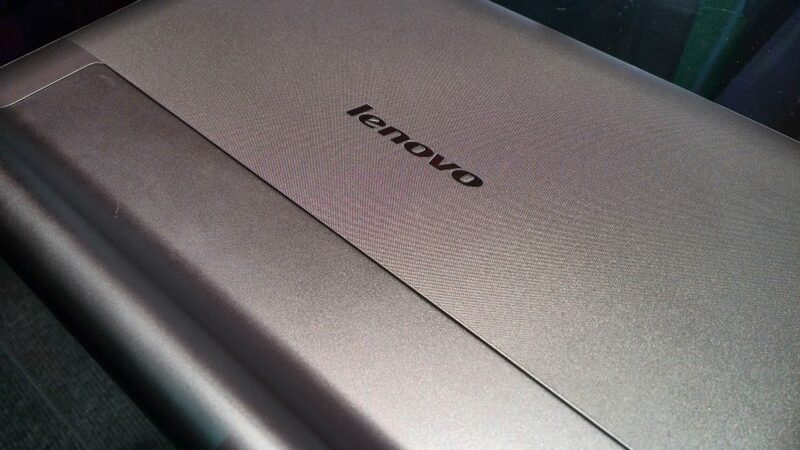 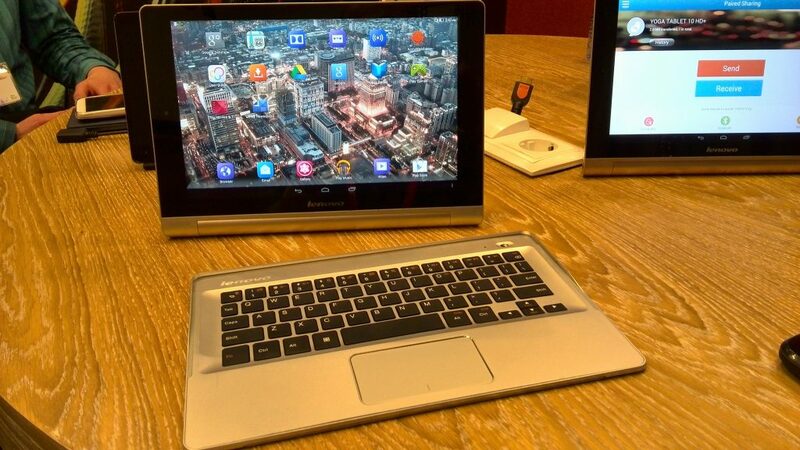 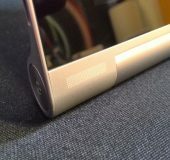 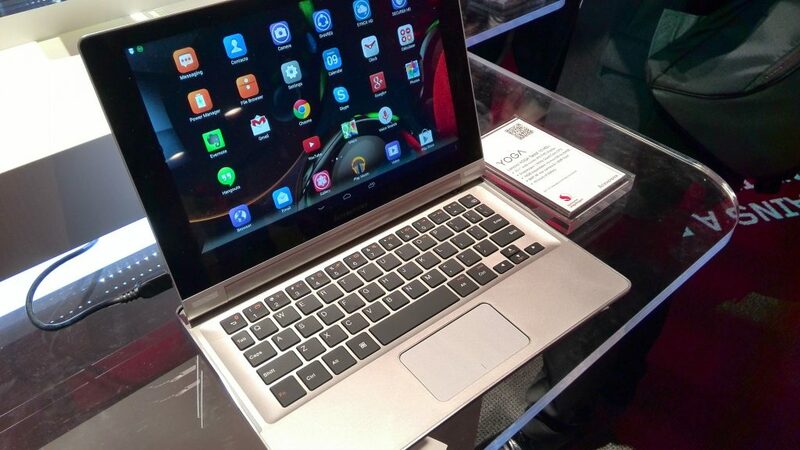 Last week was the first time I’d seen the Lenovo Yoga Tablet. 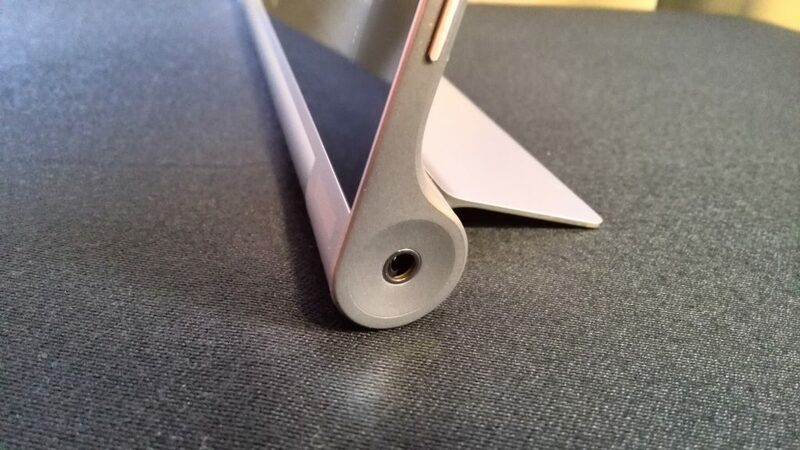 The 8″ version has been kicking around for a bit but this is the new 10″ version. 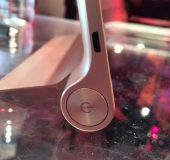 To be honest I was really impressed with the design of this and how good it looks. 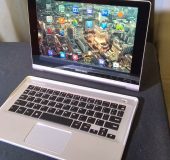 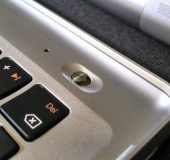 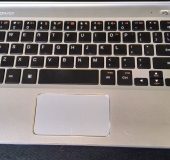 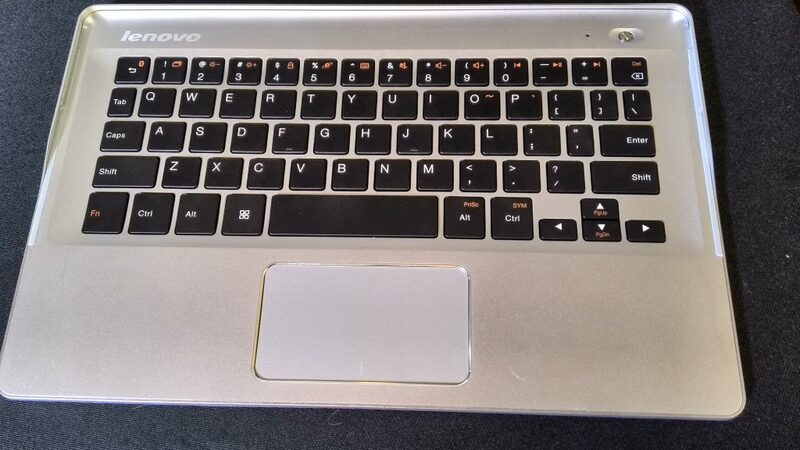 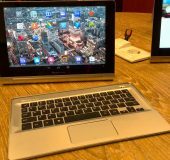 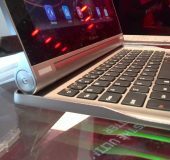 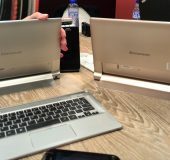 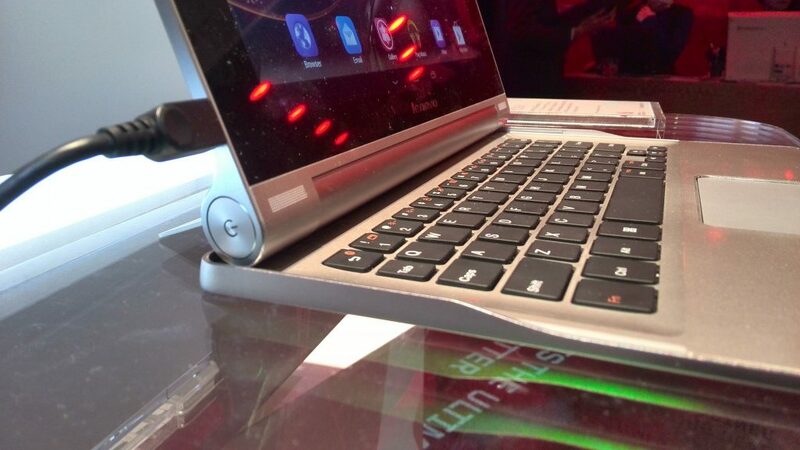 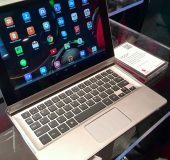 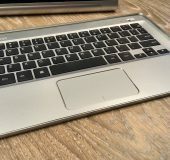 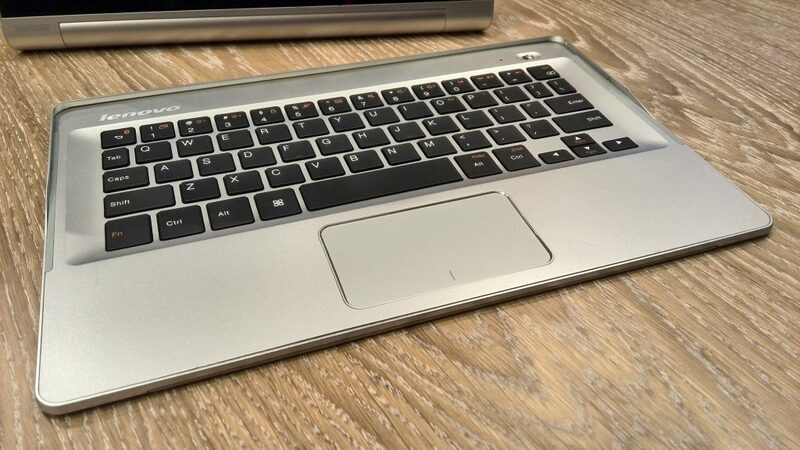 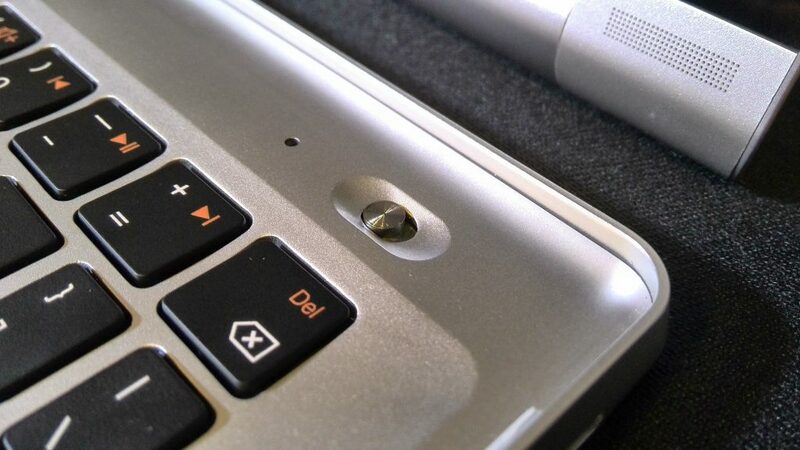 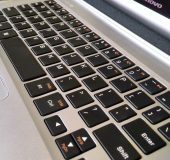 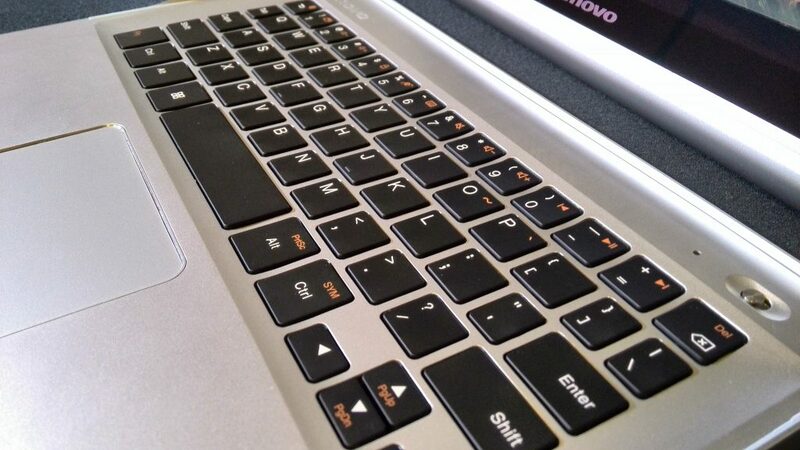 The additional slide-on keyboard acts as both a cover for the device and a very nice keyboard which you can pop in front of the device to create yourself a slim notebook. 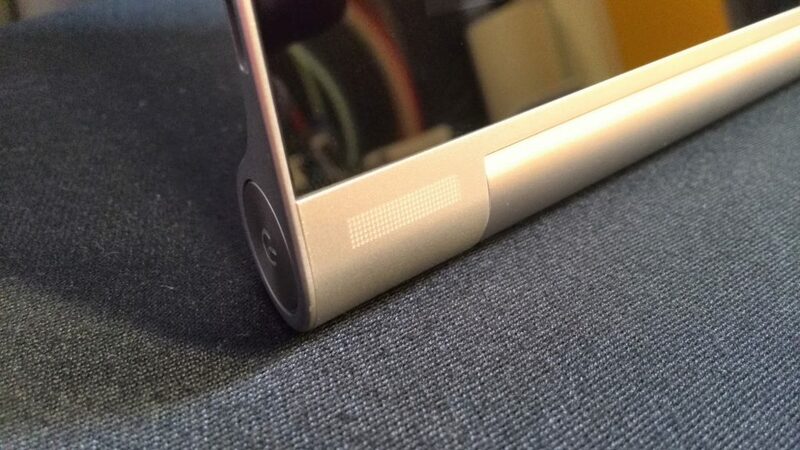 and text on the screen to the ambient light, meaning that it’s easier on the eye. 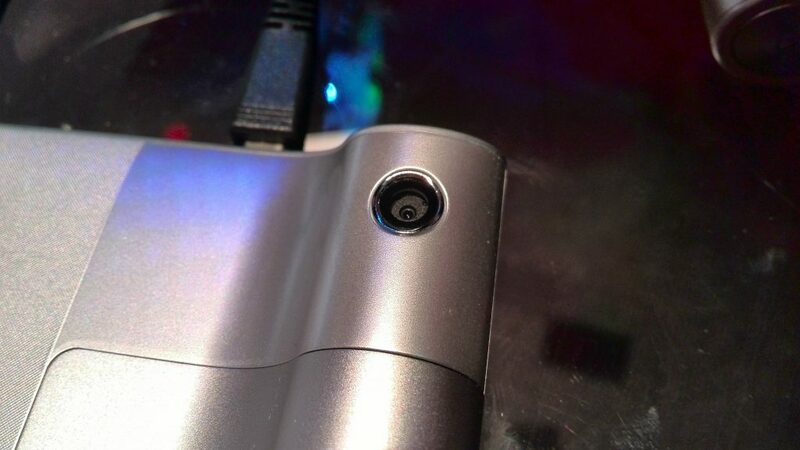 Here’s a rather large selection of shots.. 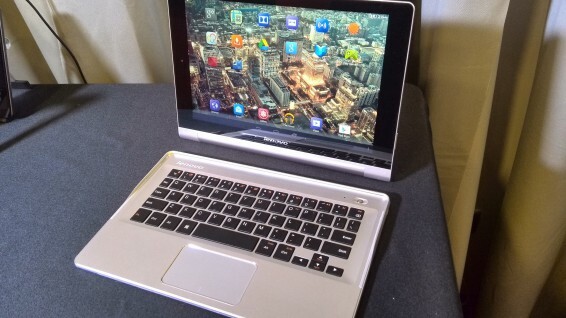 The Android 4.3 tablet runs a Qualcomm Snapdragon 400 quad-core CPU with Dolby audio, 10 point multitouch, a micro USB port and an 8 megapixel rear camera. 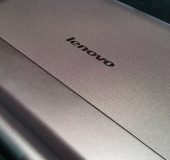 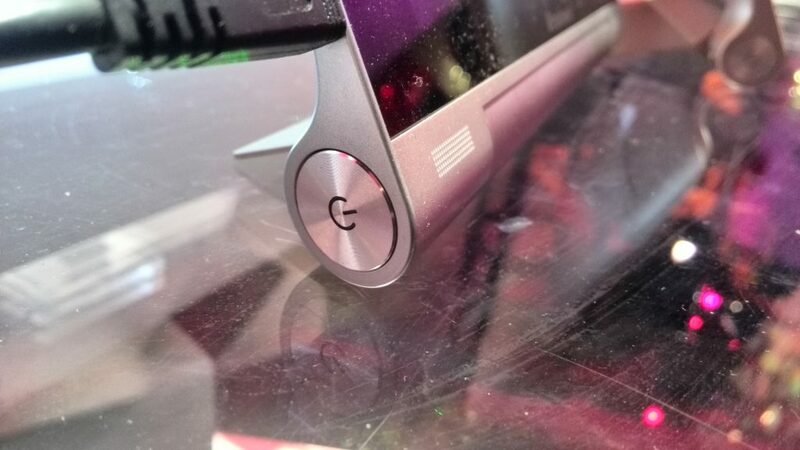 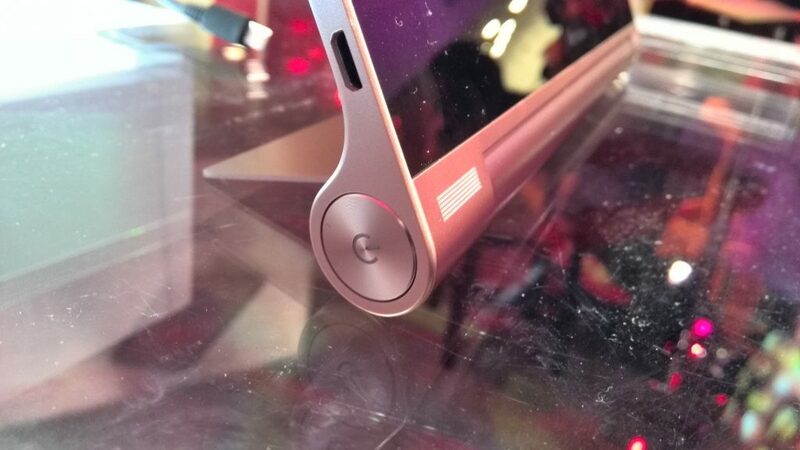 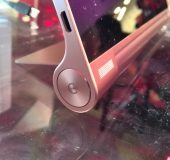 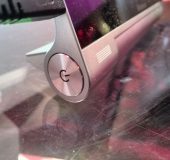 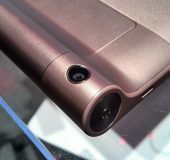 I must admit that, if Lenovo can design more phones that follow similar designs, I’m very interested in the Lenovo and Motorola future products. 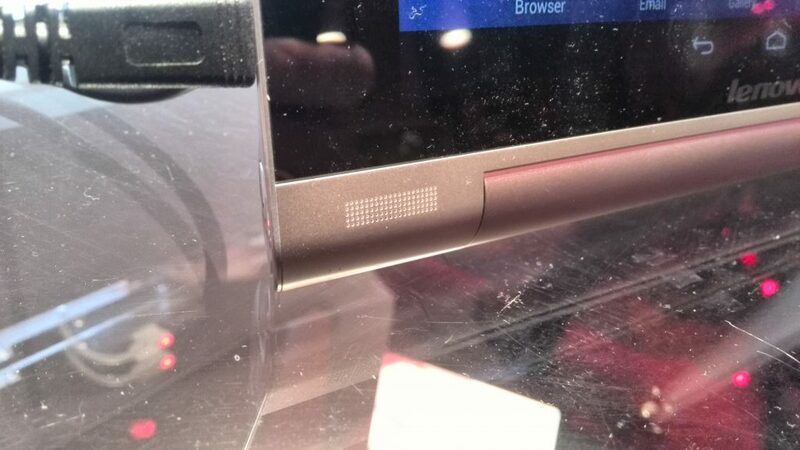 This tablet looked and felt absolutely amazing. 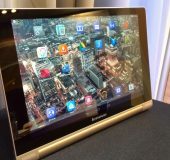 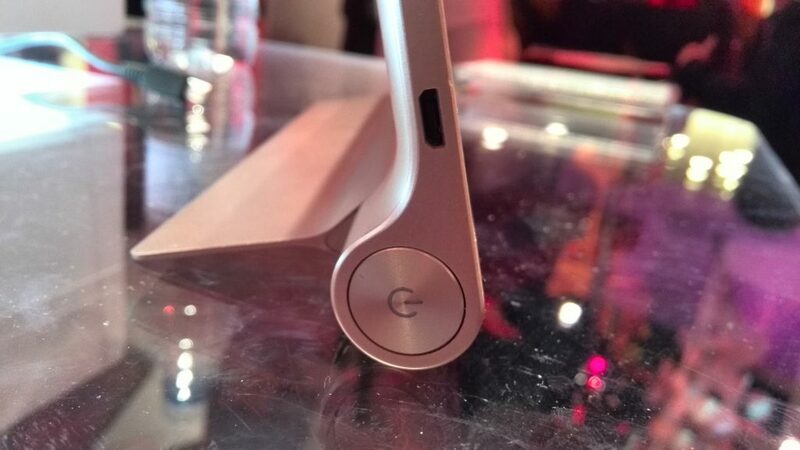 It’ll be available in April with prices starting at $349, which is just £209.